Welcome to the Stonebridge Community website, an information resource for both our residents and the local community. You must be a resident to access the "Annual Dues" page, the "News Bulletin" page, the "Minutes" page, the "Message Board" page, the "Condo Documents" page, "Photo Albums", the "Documents" page, and the "Questionnaire" page. To register, click the "Register" button at the top of the left navigation panel. We will respond to registration requests by providing a password within 24 hours. Use the "Contact Us" feature to send our website administrator John Clark with any comments or suggestions about this site. 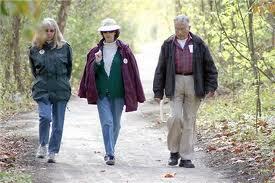 Pedestrians(including joggers/runners) please use the sidewalks where available. If there are no sidewalks, pedestrians should walk/run on the side of the road facing oncoming traffic. If you are walking/running when it is dark , please wear reflective clothing. Also, please avoid walkng on the golf path while golf is being played.